Bridal crystal leaf jewel goddess headband. 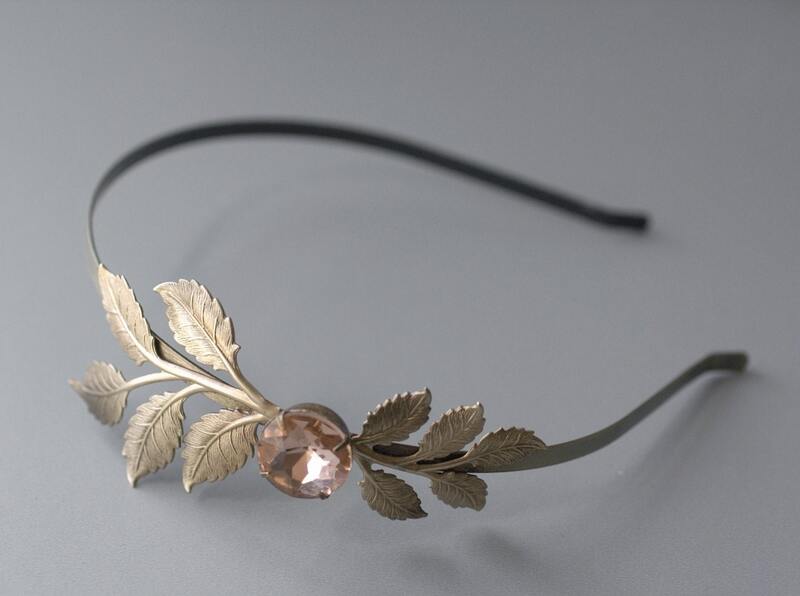 The headband is adorned with leaves and crystal jewel accent. The glass jewel measures 18mm (3/4 inch in diameter). The jewel has been set in a prong setting. The leaves and the jewel setting have been securely soldered to the band. The detail measures about 4 inches long. I ordered this headband for my daughter to wear for her wedding. I ordered it with a custom colored stone. Danielle was great to work with and the end product turned out beautifully!